2007 – Wow! What an amazing trip I had to Scotland, England and Denmark! This spring I was very fortunate to travel to Scotland, England and Denmark where I shared some of the weaving techniques and materials that I’ve been exploring here on Salt Spring Island. Along the way I was also able to attend several wonderful basketry events. My itinerary included The Closing of the Big Willow Event near Inverness and Bamboozled in Porthleven, Cornwall where I took a workshop with Andris Lapins on Willow Skeining and participated in an exhibition called Split Ends. I attended several basketry exhibitions including the East Weaves West exhibition in Glasgow, the Scottish Basketmakers Circle exhibition Pushing the Boundaries in East Kilbride and I saw the anniversary exhibition Kurv of the Danish Basketmakers Association in Silkeborg, Denmark. 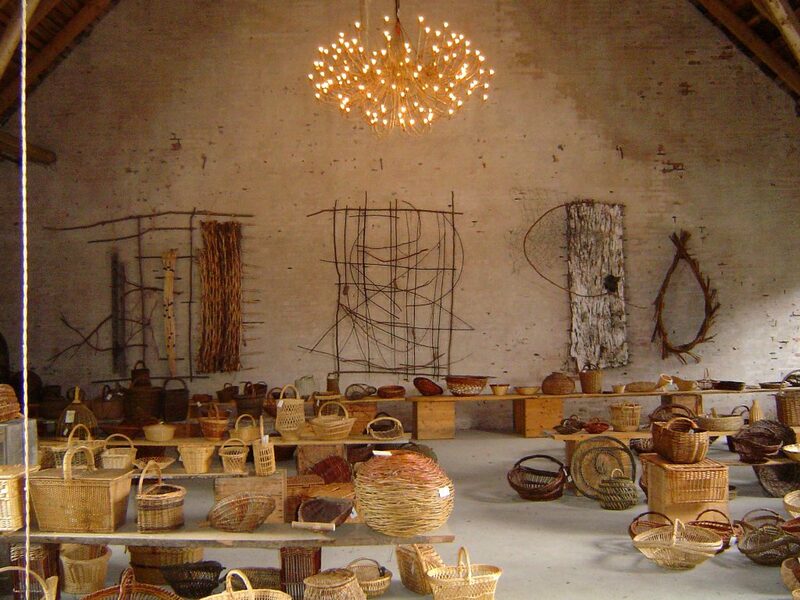 How fascinating and inspiring it was to visit Maurice Bichard’s personal basket collection and the Pitt River’s Museum in Oxford and Eva Seidenfaden’s basket museum in Denmark. Wow, and that is not to mention all the wonderful friends and basketmakers I met along the way. Thanks to everyone who helped make that trip happen!